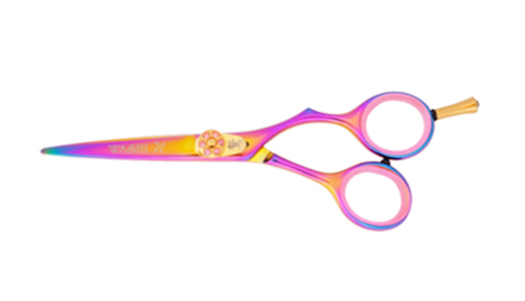 The"Golden Rainbow" hair shear features a titanium finish and an attractive titanium design that make this shear a pleasure to work with. Great all around cutting tool, lightweight with well balanced blades. Always performs brilliantly. It's handle design has been a #1 seller for years!.